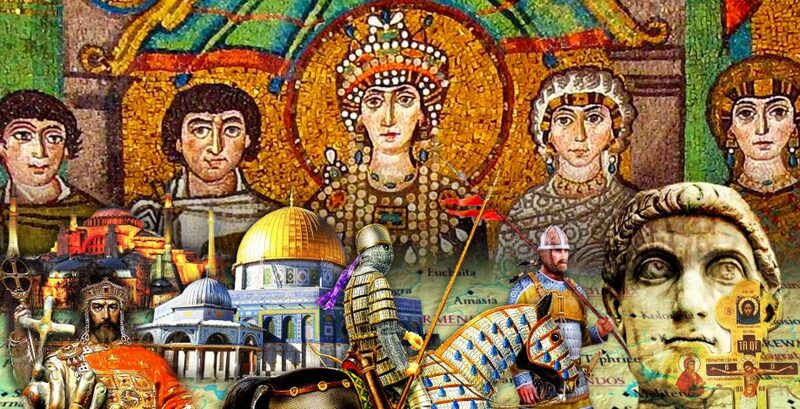 If you’d like to buy the Sale episodes of The History of Byzantium then this is what you need to do. 2) You will receive an email from thetvcritic.org with your password. Check your spam folder if you can’t see it. Click on the link to login or you can click here. 3) Sign in using your email and the password. Then click on Buy Episodes on the right hand menu. 4) You can now choose which episodes you’d like. If you want the RSS feed then just choose that and don’t add any other episodes as they are all included in the feed. Click on “Add to Basket” when you’re done. 5) You can now choose to add a donation. The early episodes are $5 and later ones are $7. A year-long subscription to the feed is $42 (since June 2016). You can simply enter the amount that each item costs if you like. Or you can add a donation by inputting a larger amount. Don’t use decimal points. Just put 7 or 42 or whatever rather than 7.00 or 42.00. Click “Checkout” when you’re done. 6) This is your chance to check the order is correct. If it is click “Buy Now.” If it isn’t click “Back” and correct it. 7) You are now taken to the Paypal screen. Either use your Paypal account to pay or click on the option to pay with debit or credit card (it’s on the right hand side under the Paypal account login). 8) Once you have paid you will receive an email confirming your purchase and information about your episodes or RSS feed. You can always login here and click on “Your Purchases” (top left) and stream or download your episodes. Your RSS feeds will also be there. Please be patient with the sale episodes. They are on a slower server than the free episodes. You may have to download them in order to listen to them when the server is busy. Email me with any problems: thehistoryofbyzantium at gmail.com (obviously replace at with the sign). This worked for the earlier episodes but not for the current purchased ones (for me at least). Download the episodes to the PC using “Save Link As…” and load them into iTunes using “Add file to Library” (where they will appear as songs). Sync to your iPhone and check they appear in “Music” on the phone. Sync again and the episodes should appear in Podcasts. Some of the metadata including release date may be lost but at least the episodes appear on the phone. This could probably be fixed using a mp3 tag editor app but I have not tried this myself. This also appears to work for the pesky “File type is not supported by the iPhone…” message. I’m a little concerned that the website where we sign up to purchase episodes doesn’t make use of HTTPS. Basically it’s asking people to enter their email address and password into an unencrypted form, where it is easily intercepted and stolen. It’s a little surprising considering your own website does use HTTPS. Just subscribed again for the show. Amazing historical research and storytelling! thank you for a great Podcast!!!! I received my subscription reminder this morning. As a great supporter of the show I tried to renew promptly. My saved password didn’t work. I was sent another which did not work and then a further six all of which did not work. So as things stand you have a subscriber who wishes to renew but can’t. For the sake of the show I hope I am not one of thousands! thetvcritic.org is returning an error 503. Please solve that as I want to buy some episodes! Hi. I an not sure what is meant in Sale instructions #4 “If you want the RSS feed then just choose that and don’t add any other episodes as they are all included in the feed”. I cannot see a RSS feed under Episodes for sale. Is it the $42 subscription that is meant? Yes absolutely. The subscription gives you a feed with all the episodes on it and it’s known as an RSS feed. Hi! I am a returning subscriber, I took one year subscription 2 or 3 years ago, and now I would like to do that again. However, I have forgotten my password. And I have more than once tried to get a new one by following “Forgot your password?” link and giving my email address, but it just isn’t sent to me. An attempt to subscribe as a new user is also not working, because the site tells me this email address already has an account. What bad luck, I noticed this problem with my inbox soon after writing feedback here and fixed it immediately, but you already had to suffer of it! Please try again, now there is no problem with my email, and it only occured today so it shouldn’t be the source of my problem with tvcritic as I have tried to get new password several times on different days. Yes I’m afraid the site is currently down for maintenance. Apologies for the inconvenience.